Noise in a bearing can be caused by a number of factors, but almost all are related to vibration. 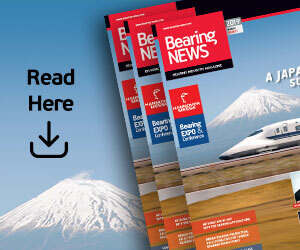 Here, Chris Johnson managing director of miniature bearing supplier SMB Bearings, explains how quality, fit and lubricant choice can all impact the level of vibration and noise in a bearing. Noise coming from a bearing is commonly associated with damaged wheel bearings in cars. When wheel bearings become damaged, excess noise is probably the easiest way to identify the bearing is broken. But, what about bearings in other applications? Bearing rings and balls are not perfectly round. Even after extensive fine grinding and polishing, the balls and raceways are never perfectly smooth. These imperfections can cause unwanted vibration, potentially damaging the bearing during its lifespan. 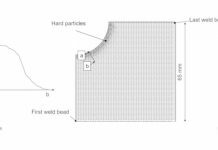 Usually, there are machining imperfections in the form of rough or uneven surfaces which will cause one ring to move or oscillate radially in relation to the other. The amount and speed of this movement contributes to the amount of bearing vibration and bearing noise. 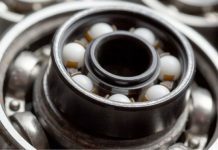 Rough or damaged balls or raceways, poor ball or raceway roundness, contamination inside the bearing, inadequate lubrication, incorrect shaft or housing tolerances and incorrect radial play can all contribute to a bearing’s vibration and in turn, can be contributing factors to excess noise. When searching for a bearing with low noise, a good quality bearing will have excellent surface finish on balls and raceways. 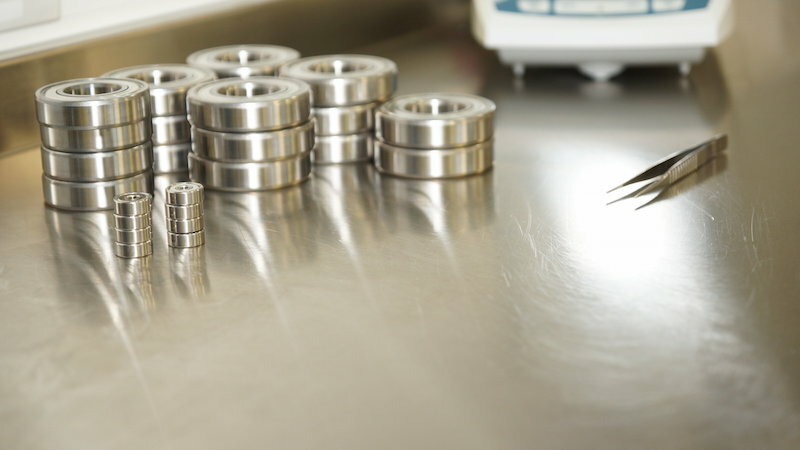 During the manufacturing process, the roundness of the balls and bearing rings will be very closely controlled. 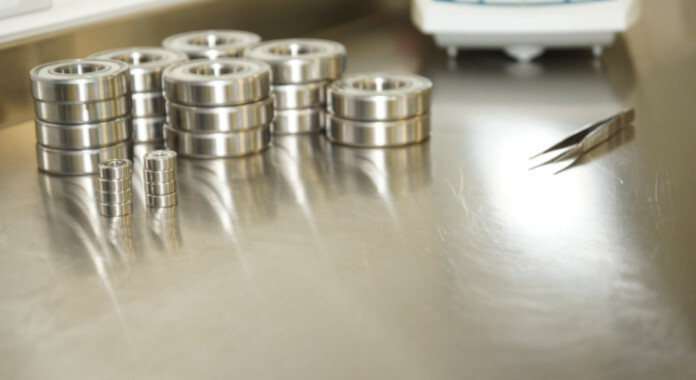 The smoothness or quietness of a bearing can be checked by accelerometers which measure bearing vibration at the outer ring, usually with the inner ring rotating at 1800 rpm. Another way to control noise is to specify a radial play that allows the bearing to operate with almost zero radial play when in use. If the shaft or housing tolerances are incorrect, the bearing can be too tight, which will lead to excessive noise. Similarly, poor shaft or housing roundness can distort the bearing rings, which can also impact the vibration and noise of a bearing. Bearing fitting is another important factor to consider. Poor fitting practices can cause dents in the bearing raceways which will greatly increase vibration. Similarly, contaminants in the bearings can cause unwanted vibration. To be low noise, a bearing must be free of contaminants. If the bearing is not used in a very clean environment, protection against dirt, such as contact seals, should be considered. In a good quality bearing, a low noise lubricant is also recommended. As the name suggests, these finely filtered greases will allow the bearing to run quietly due to the absence of larger solid particles. There is now plenty of choice in relation to low noise greases, with several options on the market. Bearing rings and balls are never perfectly round and some vibration will always occur. However, there are ways to select a bearing which is better suited to applications where low noise is required. 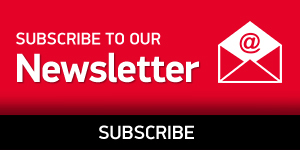 For more information on low noise bearings and lubricants, contact the team at SMB Bearings on +44 (0) 1993 842 555.